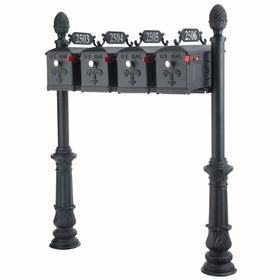 Multiple Tenants Decorative Mailboxes with two posts and number plates. 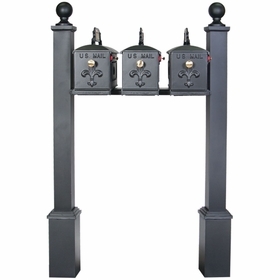 Decorative and durable mailbox systems on BudgetMailboxes.com. Meant especially for residential buildings, offices, etc.